The only message that was published considering the incident was the suspension of AIBA vice-president and the chairman of African boxing confederation Kelani Bayor. He was banned for three years. 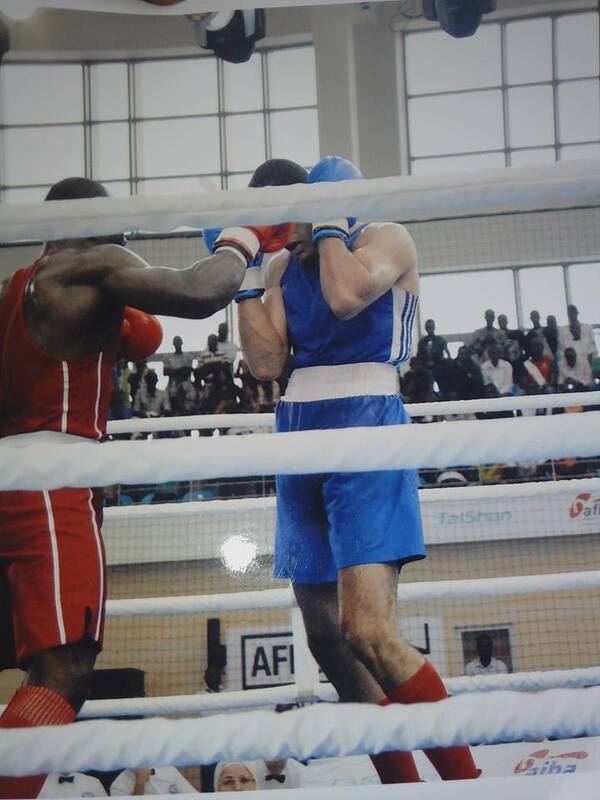 The Congolese boxing organization was barred from AIBA competitions for two years. Muhammad Ali and George Foreman raised the sport of boxing on entire new level after their famous fight. The heavyweight giants, both Olympic champions, clashed in 1974 in Kinshasa. Their bout became legendary and years later became a model for a hype, drama and show. 60 000 fans attended at 20th May Stadium, where Ali was struggling in the first seven rounds before knocking out Foreman in the eight. After those exciting minutes the historic boxing fight took the label The Rumble in the jungle. 43-years later, on the other side of Congo River, AIBA held it’s continental championships. The tournament in Brazzaville was part of so called Year of Africa, a program billed to be direct reach to 750 000 people. “AIBA Year of Africa is a landmark initiative within AIBA’s Development Programme and a flagship Legacy Project for the organization, providing an all-in-one solution on a continental scale that aims to promote boxing at all levels. We will leave the continent’s boxing with a tangible legacy for its administration and preparation and, by engaging a new audience in the sport, its future results in major competitions”, said the official PR communication by AIBA. The fans from the host nation – Republic of Congo, were thrilled to see their country mate Laury Yannick Pembouabeka to reach the final at heavyweight division (91 kg). He fought for the gold with Moroccan Abdeljalil Abouhamda. After the final bell Abouhamda won by judges’ decision with 5:0. Three of the officials gave pretty close scores 29:28. When the winner was announced, all hell broke loose. The audience started to throw items to the ring. The officials went running to keep their life and hide themselves in the rooms of the boxing venue. The audience in Brazzaville wasn’t happy by the result of 91 kg final. According to Boselli report few minutes later in the Referees and judges’ lounge came the president of African boxing confederation and AIBA vice-president Kelani Bayor and Richard Mouambouma , president of Congo boxing federation. “Mr. Bayor shouting, arguing that this result it is completely wrong and that we created a big problem, etc. I didn’t understand all because he spoke in French. We stayed in the R&J Lounge more than one hour waiting the police arriving to protect us. Some people outside the room tried to break the door of glass to invade the R&J Lounge. It was a panic at this moment because we didn’t know what would happen if the people would invade the room”, added Boselli. 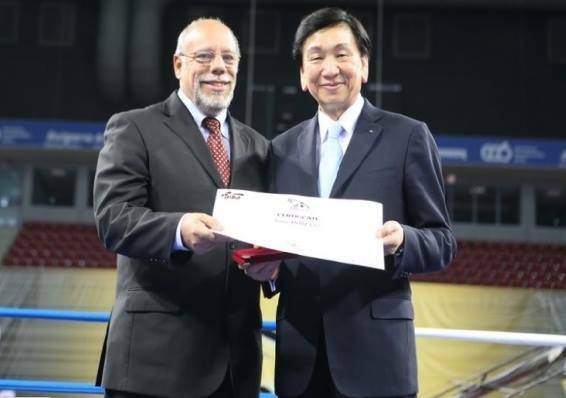 Boselli (left) was one of the most trusted AIBA officials of the abdicated president Wu Ching-kwo (right). Then, the main officials – supervisor, deputy supervisor, referees evaluator, judges evaluator and Boselli called the five judges that were appointed to the controversial bout. They confirmed their score. 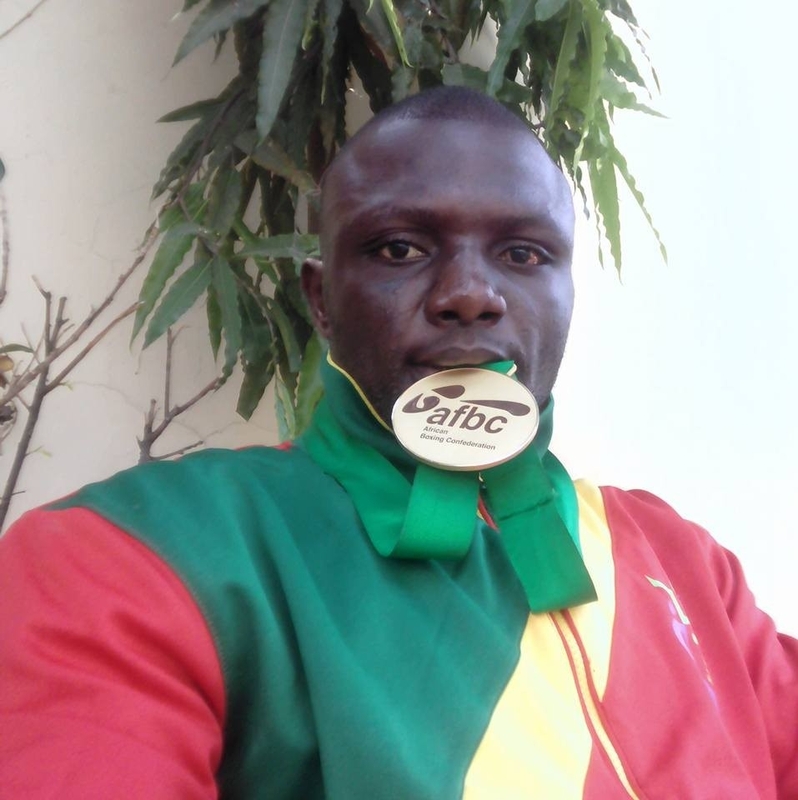 The champion Laury Yannick Pembouabeka with his gold medal. After the fight the scoring system operator told the other officials that he is not confident to go back and to finish the last four final bouts. He went back to the hotel. The championships continued and the judges used manual score cards. 2: “Everyone was surprised by the hysterical reaction of the public, with the meaning of the word, which exceeded the limit of throwing the bottles filled with water, soda, other liquids and stones to the point of threatening very aggressive signals. While all the officials went to the rest room to hide, I remained trapped by the public for more than 35 min. The presence of four members who were helping me … things would get worse. 3: “With the still angry crowd, that followed us outside the lounge and threatened us through a glass door, the supervisor, deputy supervisors and draw commissioner have decided to take a security decision to save our lives, and that was to give the victory to the Congolese boxer. Laury Yannick Pembouabeka was the only Congolese fighter in the final. 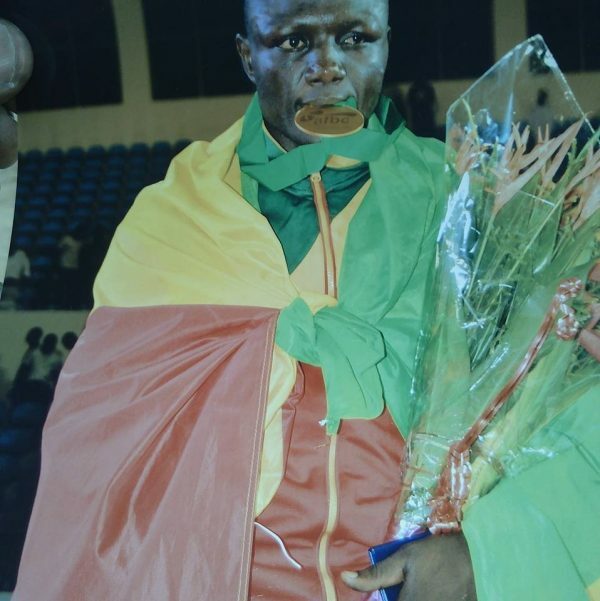 The media in Congo celebrated Laury Yannick Pembouabeka’s title. He kept his gold medal, despite the fact that in the official protocol of the event the winner of the final bout was Abdeljalil Abouhamda. In the next part of our series we will get back to Rio Olympics. You will hear an audio/video record of 5-star referee/judge, who seems like is in discussion of how to fix a semifinal bout with representative of a national federation.